Marshall Ms-2 Micro Guitar Amplifier, Black. Condition is Used. Dispatched with Royal Mail 2nd Class. Peavey Micro Bass - 20w practice amp - collection only. Condition is Used. Guitar Amplifer Acoustic Solutions EG-10J Amp Electric Guitar Combo 10 Watts. Acoustic Solutions EG-10J Guitar Amp. Guitar input. SQUIER SP10 - 10 WATT GUITAR AMP COMBO. GREAT LITTLE AMP. Fully working. Rest of the Word: We have an account with DHL so our prices are competitive. JOYO JA-03 Tube Drive Mini Guitar Effect Pocket Amplifier with Headphone Output JOYO JA-03 (Tube drive). JOYO Audio UK are the distributor for JOYO Pedals, guitar effects and their accessories in the UK. JOYO JA-03 Super Lead Guitar Effect Mini Guitar Pocket Amplifier with Headphone Output JOYO JA-03 (Super lead). JOYO Audio UK are the distributor for JOYO Pedals, guitar effects and their accessories in the UK. 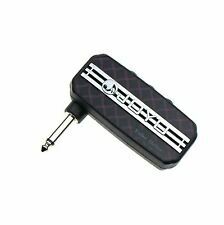 JOYO JA-03 Lead Guitar Effect Mini Guitar Pocket Amplifier with Headphone Output JOYO JA-03 (Lead). JOYO Audio UK are the distributor for JOYO Pedals, guitar effects and their accessories in the UK. JOYO mini guitar amplifier is a pocket practice guitar amplifier that gives a lead guitar sound with great effect. JOYO JA-03 Acoustic Guitar Effect Mini Guitar Pocket Amplifier with Headphone Output JOYO JA-03 (Acoustic). JOYO Audio UK are the distributor for JOYO Pedals, guitar effects and their accessories in the UK. JOYO Pedals from JOYO Audio UK - Manchester ! JOYO JA-03 English Channel Guitar Effect Mini Guitar Pocket Amplifier with Headphone Output JOYO JA-03 (English channel). JOYO Audio UK are the distributor for JOYO Pedals, guitar effects and their accessories in the UK. Great little amp for bedroom or parties. All you need is a this amp a iphone a lead and your ready to go. It also features a headphone output, and a pop-out tabletop stand built directly into the back of the unit to make listening to your playing even easier. And when not in use, you can simply stow it away. Marshall Ms-2 Micro Amplifier, Black. Guitar Amplifier Squier by Fender SP10 Amp 10 Watt Electric Guitar Combo. Squier SP-10 Guitar Amp. SQUIER SP-10 FEATURES Portable electric guitar practice amplifier. All photos are of the actual item being sold. Jack input. Used but is in very good, fully working condition. Vintage "Realistic" G10 Guitar Practice Amp/Speaker. Vox amPlug Series 2 AC30 Headphone Guitar Amplifier. Condition is New. Dispatched with eBay delivery – Shutl 1 day. Hohner Marlin Amp Amplifier HML 10L Watt Guitar - WORKING - 36CM L / 32CM W USED, good condition, working see pictures. Comes with power cable only. See pics. MEASUREMENTS IN TITLE. Pick up available in North London. Thanks, check out my other items! Brand new, no box, unused gift. HI FI Guitar Amplifier ACOUSTIC SOLUTIONS EG-10J 10 wat. Great little amp for bedroom or parties. All you need is a this amp a iphone a lead and your ready to go. WE HAVE NO FACILITIES FOR COLLECTION. GUITAR AMPLIFIER (IBIZA GA-006 USB) 20W. (With Built In USB Player). Full-range guitar amplifier with 45W RMS power handling - equivalent to 90W peak. 10W guitar amplifier. Headphone socket (speaker defeating). 10W of power. Headphone jack. Closed back construction for improved bass response. Output Power: 10 W. Weight: 3.5 kg (7lbs). Speaker: 1 x 12 cm. Model BB10, for lead guitar. MS-2 Half Stack Available in 5 Colours (Black, Classic, Red, White & Silver). The perfect gift for the musician in your life. EVH 5150III EL34 Micro Stack. Perfect for practicing in a dorm room or office, it features the look and sound that put EVH amplifiers on the map. This mini amp from EVH puts the legendary 5150 tone in a pint size format. The EVH 5150 Micro Stack EL34 electric guitar amplifier puts Eddie's tone in the palm of your hand! It’s a convenient solution for the player who wants to take Eddie's guitar tone wherever they go. Practice in style with the 1-watt EVH Eddie Van Halen Micro Stack EL34. Perfect for practicing in a dorm room or office, it features the look and sound that put EVH amplifiers on the map. This mini amp from EVH puts the legendary 5150 tone in a pint size format. Includes a 9v battery. Marshall MS2 Micro Amp - Black. MS-2 Half Stack Available in 5 Colours (Black, Classic, Red, White & Silver). The perfect gift for the musician in your life. MS-4 Full Stack available in Black. Date First Available: 19 Jun. 2007. GOOD USED CONDITION. TESTED & WORKING. RARE DR MARTENS VERSION. SOUNDS GOOD FOR ITS SIZE. BELT CLIP INCLUDED. NICE ITEM AND PERFECT FOR PRACTICE AND PORTABLE USE. With amPlug 2, the crucial analog circuit has been drastically improved, and each model now provides three modes. Guitar types provide multi-effect functionality, and a rhythm function has been added to the bass type. To use the palm sized amPlug, just plug it into your guitar and grab your headphones. Playing your guitar or bass with amPlug results in serious amp sound that's overflowing with presence. The second-generation amPlug adds a variety of new functions. Fender Product OverviewYeah, Baby! This miniaturised version of the Tone Master boasts glorious tone for its size. Authentic looks with the sound to match. -9v power adaptor inpur (not included). -Headphone output. A 9V power adapter jack can be used in place of the 9V battery.Plug into the 1/4" headphone jack to get genuinely cool tone for practicing or even use it as a line out to a power amp or recording gear. TESTATA IBRIDA VALVOLARE/STATO SOLIDO PER CHITARRA 20W. Potenza: 20W. Il Micro Dark sfoggia un nuovo circuito ad alto guadagno che unisce le valvole e la tecnologia a stato solido. Design robusto, la sezione di uscita a stato solido indica il Micro Dark può essere accoppiato con qualsiasi cabinet 8-16 Ohm.